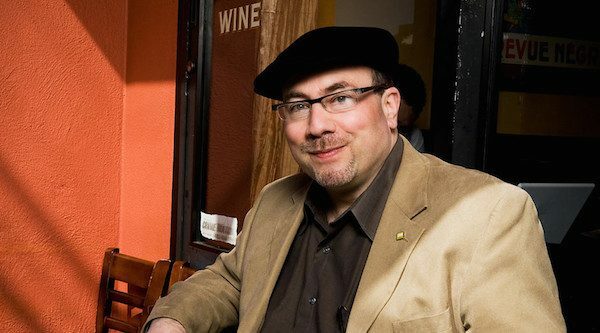 Today I asked Craig Newmark, the founder of Craigslist.org some quick fire questions to get to know more about the man behind the website! Craigslist is currently the 49th most visited website in the world according to Alexa and offers classified listings around the world. First off – can we have a little background information on you Craig – Where you live? How old you are? What motivates you? What inspires you? Cole Valley neighborhood of San Francisco and I am 56 years old. Well, a guy said “the arc of the moral universe is long, but it bends toward justice.” People use the Net to make that real, and I want to participate, the trend needs nurturing and protection. Why did you launch Craigslist? Where are you at now with Craigslist? After seeing a lot of people help others via the Net, I decided that I should also help out. You have inspired so many programmers to work on their own projects, what advice would you give to a programmer to take action and create something amazing? Join an existing effort, Sunlight Foundation is a great example. I also understand that you are more about helping people and causes then making money, how has running one of the worlds largest website’s allowed you to help others? Also, any causes you would like to mention that you have helped or believe in? The site helps by helping others help others. It’s given me a bit of a bully pulpit to support people doing great work, like IAVA.org, Sunlight, Kiva, donorschoose.org, and other causes using the net. The Internet allows you to live a different style of life, what do you love most about being a Internet Entrepreneur? I’m pretty mobile, working wherever I can get on the Net. Do you think that entrepreneurialism is something that is in your blood? Or is it something that can be learned? No, I’m an accidental entrepreneur, but I did have the sense to know when it was time to get out of the way and let someone else with the skill manage and that’s our ceo Jim Buckmaster. Jim’s much more of a natural. Is there anyone that you look up to and model yourself on? Use my sense of humor. Hard to say, very irregular eight am to eleven pm schedule every day, time off as needed. What do you like least about the Internet? For reasons unknown, I love nature, when it makes itself convenient. Where do you think the internet will be in the next 10 years? Ubiquitous, delivered by smart phones. Craig Ballantyne Interview – Passive Income and Hard Work! This is very great interview Michael. Whenever i hear Craig’s name, i get inspired by him. What a man, showed true dedication to his work. Great interview, Craig is really clever! Wow that would of been a good question but I wasn’t allowed to ask about some business related to Craigslist.com – I really wanted to learn more about him, about who he is. 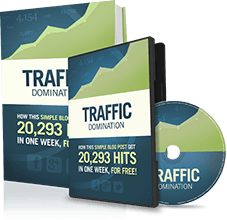 Wow… The people you are able to interview just shows that you are a master at networking Michael. Arguably the best attribute for any entrepreneur. Michael can you share your tips on how to approach and network with others alike and those we aspire to? Very interesting interview! I love his advice about humour. Seems a very good Interview. Very Inspiring. I’m really liking these interviews. What I like about Craig whenever I hear him speak is the fact he’s so different to your average dotcom entrepreneur. He genuinely see’s what he’s doing as something for the social good, not just another way of making a quick buck. Having said that it’s a shame you couldn’t get a bit more depth out of him for replies, but I guess he spends a lot of time answering questions, so fair enough. Exactly Dave, he is so different. Craigslist could be a power house for making a lot of money but he realy isn’t about that which is so refreshing to see! Another amazing interview. I’m impressed every time I land on this blog. he’s an awesome guy, love his picture on twitter with Obama. Craiglist is one of the most popular sites of all time. Was great reading this interview. Craig is a very down to earth guy and I appreciate that about him. Thanks for that interview guys. Its heartwarming to find people so successful yet thinking of other people. We need more people like you Craig. Thanks for the inspiration.